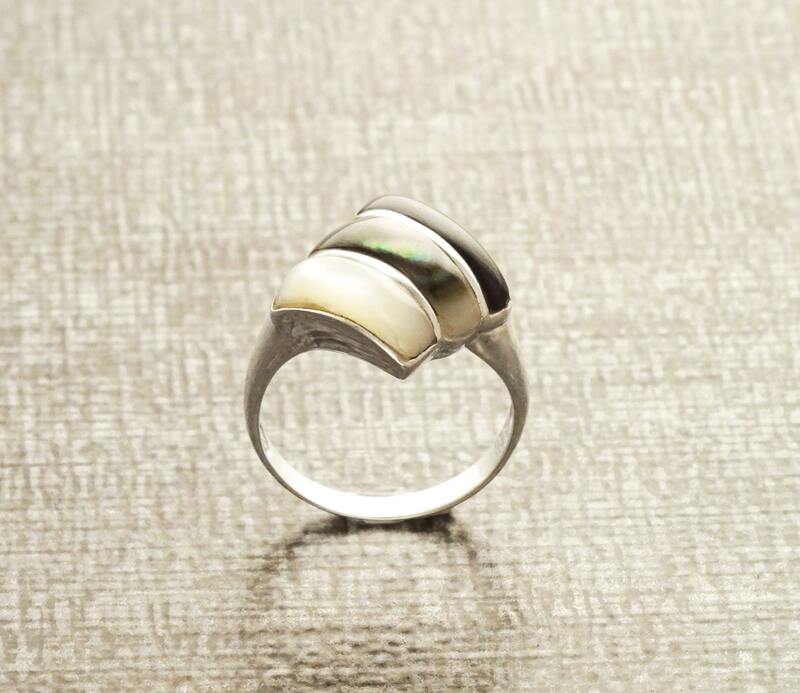 Three Colors Ring, Sterling Silver Ring, Mother of Pearl, Gray Shell, Black Onyx, Three Stones Ring, Original Mop Ring, Original Stone Ring. 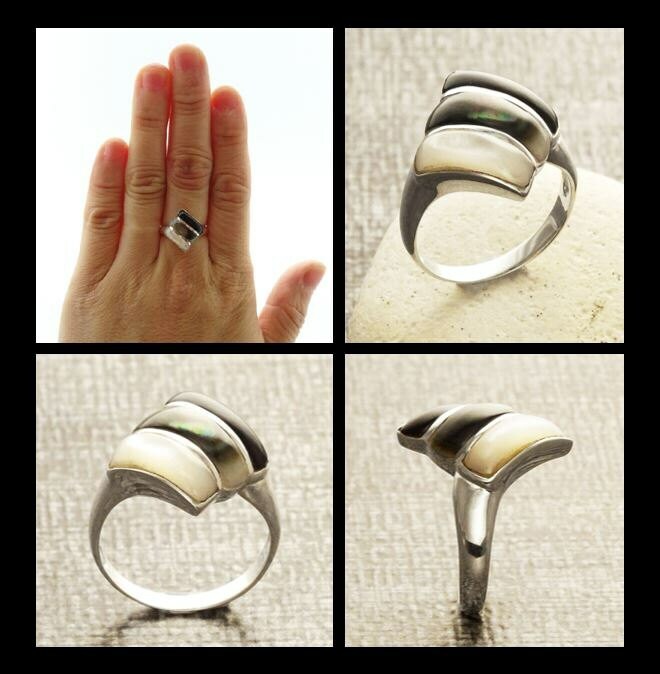 Simple and Chic in Design, this Sterling Silver Triptych Ring is set with two Genuine Mother of Pearl and one Black Onyx Gemstone for a Great Combination. 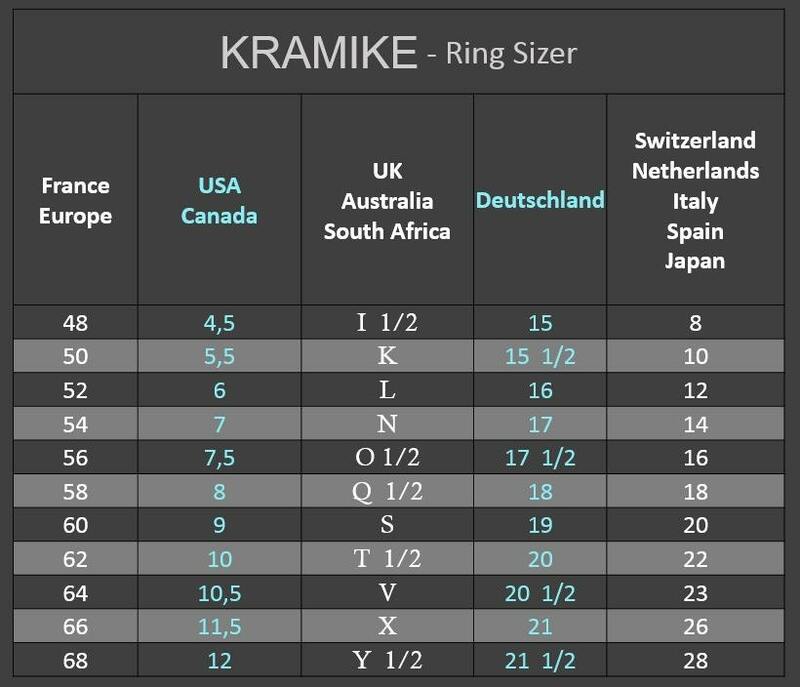 Ring features is 1.4 cm wide. Average silver weight : 2.7 gr. 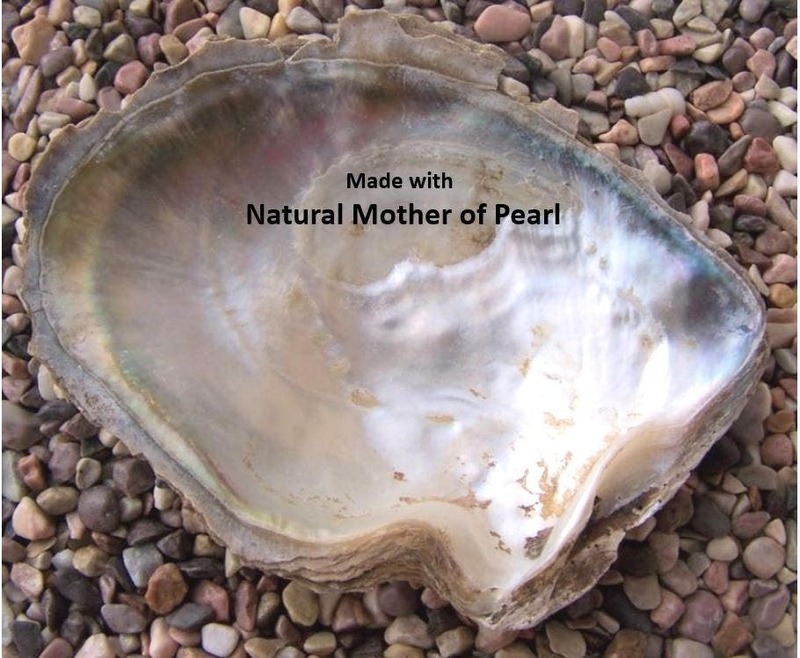 * Ring can also be done with ALL Mother of Pearl for a bright shining version. 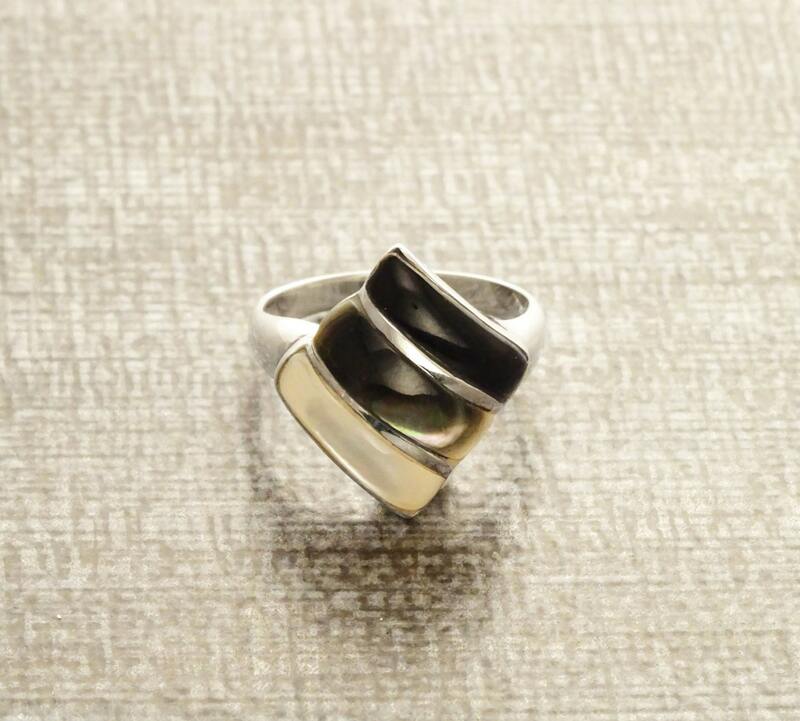 * Ring can also be done with ALL Black onyx Gemstone for a deep Black version. I was so happy when I received my order! This ring exceeded my expectations and the picture really doesn't do this beauty justice! I have gotten so many compliments and it matches a necklace I already own, perfectly! I look forward to seeing what else you sell! 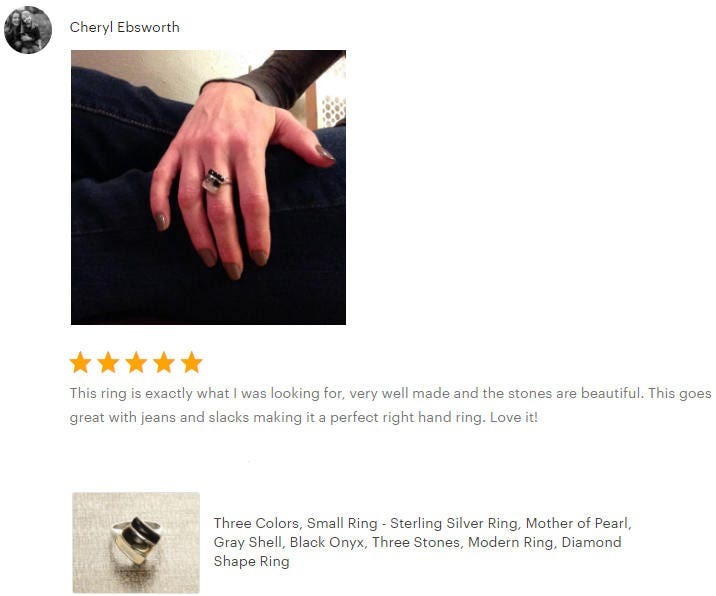 This ring is exactly what I was looking for, very well made and the stones are beautiful. 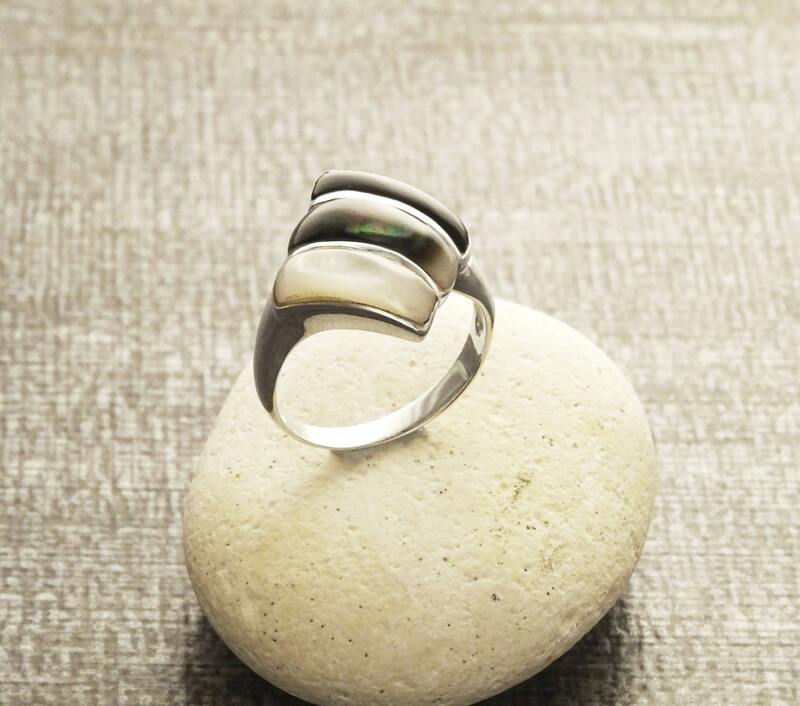 This goes great with jeans and slacks making it a perfect right hand ring. Love it! I love the modern design of this ring. It goes with just about anything. Very well made.